UPDATED: Thu., June 21, 2018, 10:19 a.m.
STORRS, Conn. – The University of Connecticut fired men’s basketball coach Kevin Ollie after finding NCAA violations that included improper training sessions and improper contact with recruits by Ollie and former UConn star Ray Allen, according to documents released by the school. The violations are laid out in more than 1,300 pages of emails, transcripts and contracts given to The Associated Press and other media organizations who filed Freedom of Information requests with the school after Ollie was fired in March. They were released this week after UConn President Susan Herbst upheld the firing decision, a process that now heads to arbitration. 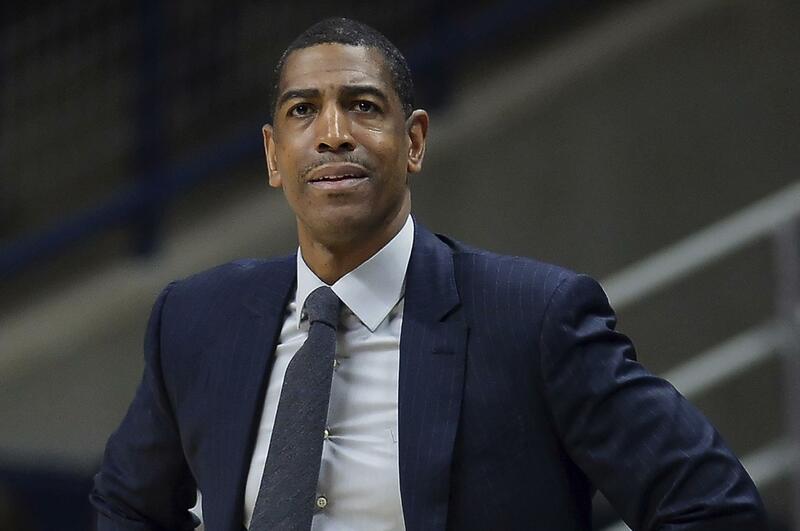 The NCAA is investigating UConn for potential violations, but has not issued a finding. The violations cited by athletic director David Benedict in firing Ollie include: Ollie shooting baskets with a recruit during an unofficial visit to the school last September; Ollie arranging a call between a potential recruit and Allen, the former NBA great who is now considered a school booster by the NCAA; and Ollie arranging improper training sessions both on and off campus with a friend who is a personal trainer. Benedict said Herbst and former UConn athletic director Warde Manuel had stressed the importance of compliance with Ollie when he was hired in 2012, following previous violations by the program and at a time UConn faced banishment from the 2013 NCAA Tournament for failing to meet academic standards under previous coach Jim Calhoun. Benedict said Ollie had three times certified to him that the program was in compliance with all NCAA rules. “That makes the violations all the more troubling,” Benedict wrote in an April letter to Ollie upholding his decision to fire him with cause, a decision that allows UConn to forego paying more than $10 million left on the coach’s contract. In a statement to The Associated Press on Thursday, Ollie’s lawyer Jacques Parenteau called the infractions cited by UConn in firing Ollie minimal and isolated. Ollie, a former UConn point guard who guided the Huskies to a 127-79 in six seasons, also issued a statement Thursday. He thanked fans for their support, wishing new coach Dan Hurley luck with the program and expressing pride in his tenure with the Huskies, which included a 2014 national title. “I am most proud of the success I have had in mentoring young men and providing them with the tools to become great student-athletes and contributors to our communities,” he wrote. The documents provided by UConn include transcripts of interviews by the school’s compliance staff and NCAA officials about alleged violations. That includes secondhand information provided by former UConn assistant coach Glenn Miller, who was fired by Ollie after the 2016-17 season, about an alleged $30,000 payment by Ollie to the mother of a player. That was not cited by Benedict as one of the issues leading to Ollie’s firing. Michael Bailey is director of the UConn chapter of the American Association of University Professors, the employee union that represents Ollie in his appeal of the `with cause’ firing. He said the university provided him with a list of 120 NCAA secondary violations by athletic coaches across all sports at UConn from 2010 to the present that didn’t result in the firing of the coach. Ollie was in the second year of a five-year deal valued at $17.9 million, signed amid reports he was a candidate for several NBA jobs. He is not owed the remainder of his contract if it is found he was fired for just cause, which includes serious NCAA violations. Published: June 21, 2018, 9:54 a.m. Updated: June 21, 2018, 10:19 a.m.